In the past I have worked a lot with separate ESP-8266-12E modules, it was necessary to add several components to keep the whole stable running, not to mention the two buttons needed for resetting and of course flashing the modules. As all my homebridge hardware make use of the ESP8266 it’s time to choose a more stable out of the box solution. 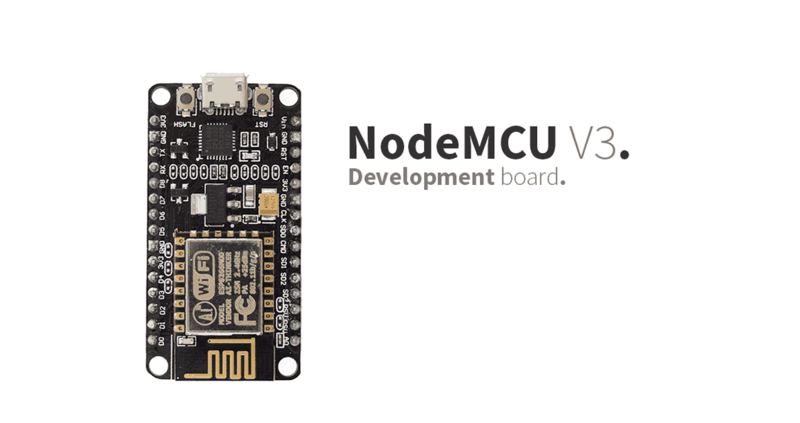 The NodeMcu v3 is an open-source board with embedded ESP-12E WIFI module. This is not a weakling like the Arduino’s, with 512kb of memory and a processor on 40Mhz there is not a shortage of resources. This sign is ideal for starting IoT (Internet of Things) applications. 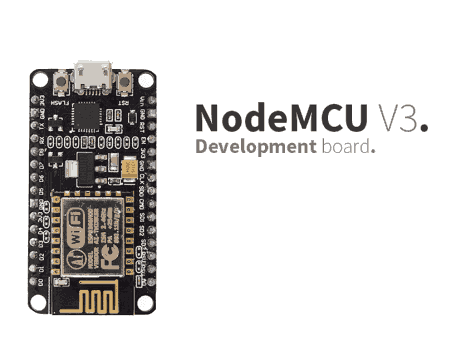 Programming the NodeMcu v3 is slightly different than normal, with the API that is similar to NodeJS, this module receives the commands through the LUA scripts that are being uploaded. This concerns version 3 of the NodeMCU series, which is somewhat wider than the previous version and therefore no longer fits neatly on a breadboard. To make this right, an I / O shield has been designed that perfectly fits this NodeMcu v3. This version contains to save costs instead of the CP2102 serial chip the CH340G version. 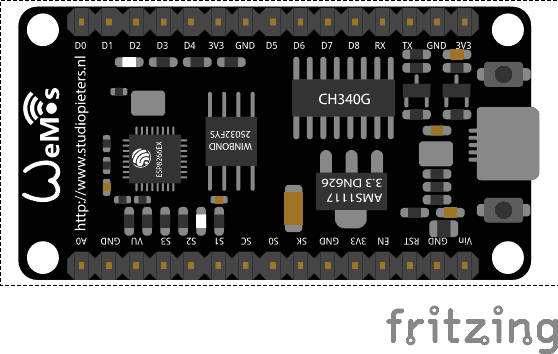 Because I always use the Fritzing app to illustrate the hardware setup of a new project, I need a new fritzing part for future setup’s. So after some designing in illustrator this is the end result. 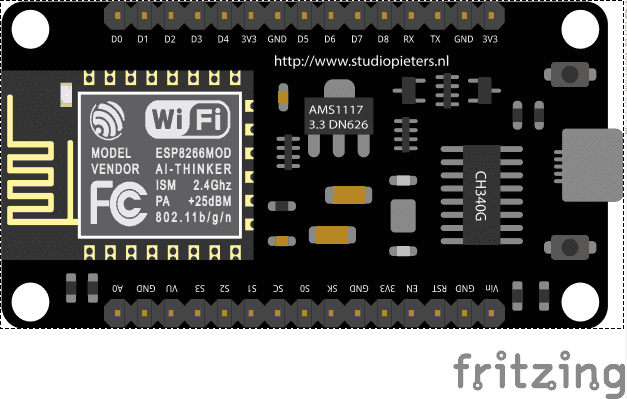 Note: I made wo Fritzing parts, because there are multi versions available, just choose the one you have.